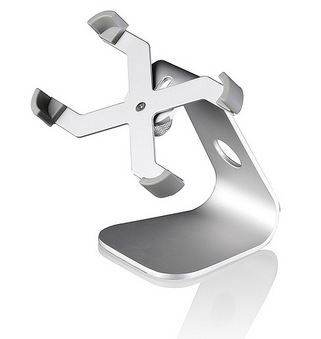 While there is no shortage of iPhone holders and kickstands in the market today, the elegant and iconic design of Just Mobile’s Xtand™ is something you simply won’t find in any other iPhone 4/4S desktop cradle. Check out our full review after the break. 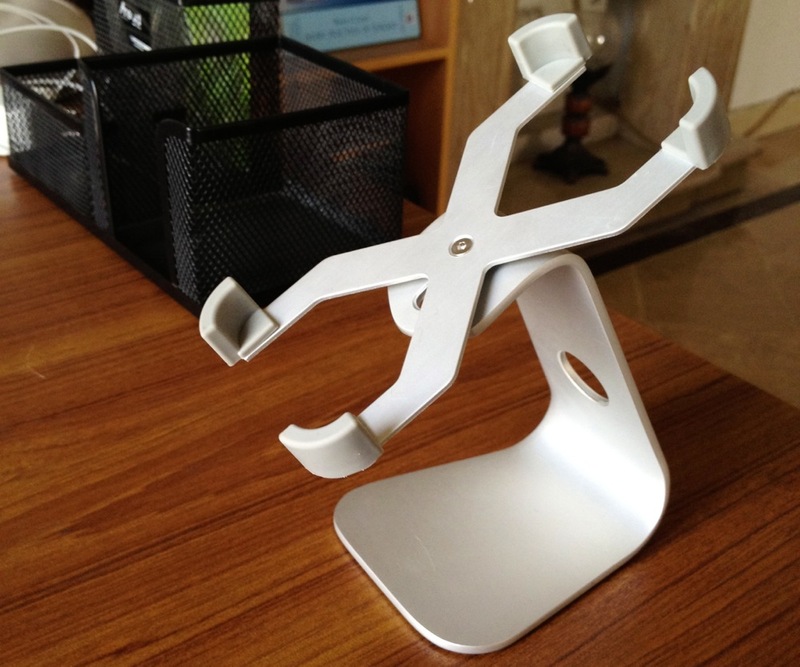 As the name implies, Xtand™ is an X-shaped stylish desktop stand that can be used to hold an iPhone 4/4S, iPhone 3G/3GS or even a 4th generation iPod touch, in either portrait or landscape position. The stand is made up of high quality aluminum, much similar to the kind you see in Apple’s Macbook Pro aluminum unibody and Macbook Air notebooks. 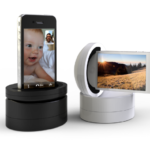 The design of the stand allows easy rotation of the docked iPhone or iPod touch, making it ideal for FaceTime calls and watching videos. The Xtand™ gets its design inspiration from the iMac’s aluminum stand, also hosting a die-cut out hole in the back which provides easy cable management. The hole allows you to run your sync / charge cable through it and plug it into the device’s dock connector while maintaining easy access to all the button’s and ports of the device. The stand’s non-slip feet work really well in keeping the whole thing firmly in place, even on glass surfaces. 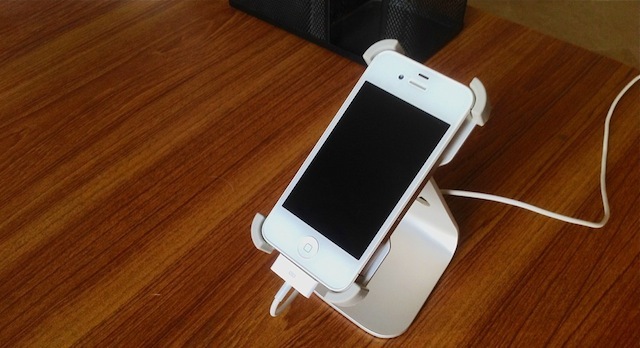 When your iPhone or iPod touch is in the Xtand™ cradle, four rubber grips secure the iPhone. iPhone 4/4S grips come pre-installed while extra grips are included for iPhone 3G/3GS and 4th generation iPod touch.To remove the grips, simply slide them off. I totally agree with Just Mobile’s claim about Xtand™ as “a perfect way to transform the world’s coolest smartphone into the world’s smallest desktop computer”. The stand keeps your device at a perfect angle for typing, FaceTime calling and watching videos, essentially turning it into a mini desktop!